Join the Cell Tower Leasing Discussion. Let's start a cell tower leasing discussion. The cell tower industry is changing rapidly. Don't believe me? Some company from Germany even wants to build cell towers on the moon... Need an expert opinion? 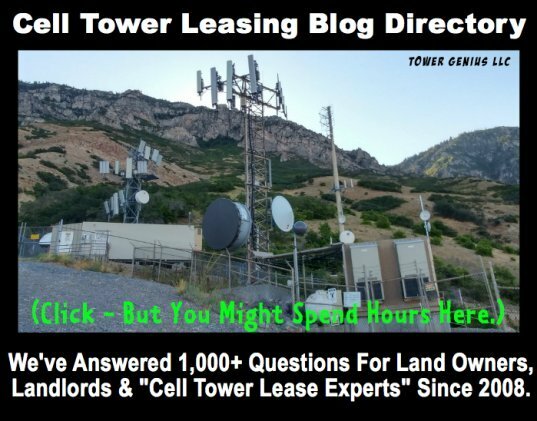 Looking for a cell tower lease blog to see what others are talking about? 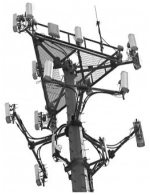 We have and ongoing cell tower leasing discussion on the Tower Genius Blog to answer any questions that you have pertaining to cellular site leases in the United States, cell tower lease rates and lease related issues pertaining to leasing cell towers, selling cell tower leases, cell tower valuations and analyzing cellular lease buyout offers from wireless capital investment firms. The Q&A blog is moderated daily by cellular industry leasing experts, and Bloggers posting unrelated content will be banned to protect the integrity of the site blog. Individuals posting questions on this blog are most likely going to be landlords who have already been contacted by a cellular carrier to develop a tower or rooftop site, or property / building owners already leasing space to a wireless carrier who have questions about adding additional wireless tenants or who may have an expiring cellular antenna lease, or who have been approached with a cellular lease purchase offer. Welcome to our Cell Tower Lease Q&A Discussion Forum. Landlords and Cell Site Property Owners, Get Your Questions Answered By Cell Site Leasing Experts. Your question will appear on this Web page exactly the way you enter it here. You can wrap a word in square brackets to make it appear bold. For example [my story] would show as my story on the Web page containing your question. TIP: Since most of our visitors scan Web pages, include your cell tower leasing question in your first paragraph. Do you have a cell tower picture to add? Great! Click the button and find it on your computer. Then select it. Is a 3% escalation rate still the norm on tower leases? What other carriers are on the Verizon tower on my property? In Florida, Do antenna leases require a Real Estate Lic? how do I know who the customers are on my tower? What conditions have to be met on a am radio tower to lease to a cell provider? Our cell lease company says Sprint is going bankrupt and since its our only company on our tower they may not pay us anymore. What are our options? how can i know if the offer made to extend the lease on my tower site is a good deal? What do carriers typically pay in cell tower rental fees? How do I know the sum offered is a fair price? Also, receiving the lump sum like this, will most of the money go to taxes? How do I contact Sprint directly to renegotiate a leasing arrangement with them. They have their equipment in our bell tower. What is the going Rate that Tower Management Co's charge Carriers? Where do I find an appraiser knowledgeable about value of cell tower leases in Calaveras County, northern California? We would like to know what is the difference between Base and OverLay type of Base Stations..
How can I find out if T-Mobile is on a certain tower? I have been contacted by other companies with buyout offers. I need some recommendations for Indiana attorneys with experience in this field. Why do they want to buy the property, the lease goes for 7 more years and then renewable every 5 years till 2037. Should I sell my cell tower lease. Micro Cell with 4 Panel Antennas and Remote Radio Heads w/Faux Chimney? 175 ft. Cell tower cost? Several areas of our lease agreement are in question. Should they pay rent before building and what about the insurance we are required to obtain? Can municipalities charge taxes on cell tower leases? On usage? Do you have any familiarity with what Verizon will pay for a telephone pole in my backyard in New York City? What is the best way to find someone interested in renting rooftop space for antenna use? Is there a large increase in E M Radiation with with a roof cell antennas? Special Zoning affects towers operation. who to call if theres a problem? Federal mandate for cell tower generator upgrade? Rates for our area - 20853 - Maryland? Where in the lease that can be negotiated? What do you charge to review and negotiate a contract? I have T-Mobile and Metro PCS on my Rooftop. What should I do? In Massachusetts, what is the difference between a lease agreement and a license agreement for a cell tower? We have a lady that wants to put up a cell tower. What is a typical rate for the underlying land owner for a sublease on a telecom site? Are they typically based on percentages or flat rates? What is necessary to sell tower space on a wind turbine soon to be under construction? Cell tower for condo roof. Will tower companies suffer from T-Mobile purchase by AT&T? Do stockholders in American Tower need to be concerned with the AT&T purchase of Deutsche Telekom's T-Mobile? Do you guys also handle solar panel agreements? Can I lease a portable tower? Is a broker's license or real estate license required to lease cell towers or rooftop cell sites in the United States? Who to contact in regards to adding roof top cell antenna sites to existing buildings? How do I know if T-Mobile is subleasing our tower? What is going rate for an extension and other add ons? Tower lease rates in Virginia. Received intimidating letter from cell phone company renting antenna space on my roof. Training course for finding vacant sites for cell towers? How Do I Get A Cell Provider To Build A Tower on My Property? Is This The End of Cell Towers? Cell Tower Attorney or Cell Tower Consultant? We have a tower with all the major carriers. What is a fair/good revenue escalation to expect for renegotiating a new lease? How much property is required for a cell phone tower in the city of Austin, TX. Question about Unison cell tower lease management. New tower question for Dickson co. TN. What is the typical lease for a Cell Site? What are the tax implications for churches that allow a cell tower to be put on its property? What are the cell tower rates in upstate New York? Also what is the percentage for co carriers? What do you charge for negotiating a cell tower lease? Who Covers Cost of New Antenna? WHAT IS A FAIR FEE FOR A SITE AGENT? 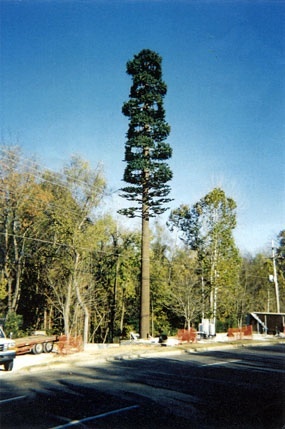 Is a cell tower 65 ft high tall enough? Is it possible to have two cell towers on the same block of land? Approximately 300-400 apart. 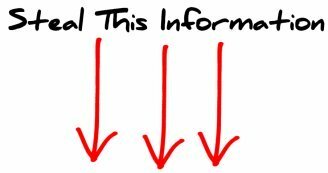 How can I find out who is looking or needing cell tower locations? How much will you pay to put a cell tower on my property? Price of lease per month? Does the tower have to be on commercial property? How do we go about finding out if a location is a possible site for a tower? What is the going rate or where do i find out the going rate for add on antennas in new york? How is it people can use these towers for criminal purposes? How do they come up with tower lease pricing? How far from a rooftop edge should the placement of a sled mounted cellular antenna panels be placed? Company Called GTP Wants to build a cell tower on my property. How can I inquire about providing a new lease site for a major carrier? Moderators of this Cellular Site Leasing Forum have nearly 50 years of combined tower leasing, negotiation and development experience. ***DISCLAIMER*** WE ARE NOT CELL TOWER ATTORNEYS. WE ARE CELL TOWER LEASING EXPERTS. WE ARE ALSO WIRELESS PIT-BULLS WHEN IT COMES TO REPRESENTING LANDLORDS. WE CAN LEVEL THE PLAYING FIELD WITH CELLULAR CARRIERS AND CELL TOWER BROKERS WHEN ASKED. WE CAN BE YOUR CELL TOWER ADVOCATES. DO NOT TAKE ANY COMMENTS OR POSTS ON THIS BLOG AS LEGAL ADVICE, JUST COMMON SENSE. IF YOU NEED LEGAL REPRESENTATION REGARDING YOUR CELL TOWER LEASE AGREEMENT, WE SUGGEST YOUR RETAIN AN ATTORNEY FOR SEVERAL THOUSAND DOLLARS. PLEASE POST YOUR QUESTIONS ON OUR BLOG. Your questions and posts to our cell tower Q&A blog will not appear immediately, and can take 12 to 24 hours to appear on the Tower Genius Blog site. We look forward to hearing from you. 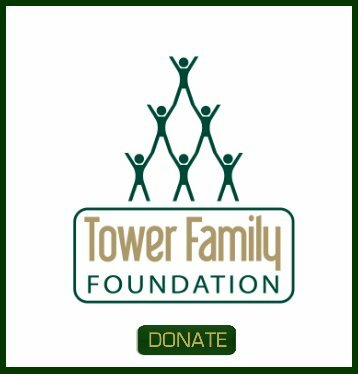 Still need help after browsing our cell tower leasing discussion and forum? No problem... Contact us for additional assistance.